If you don't subscribe to Oklahoma Today (which you should! 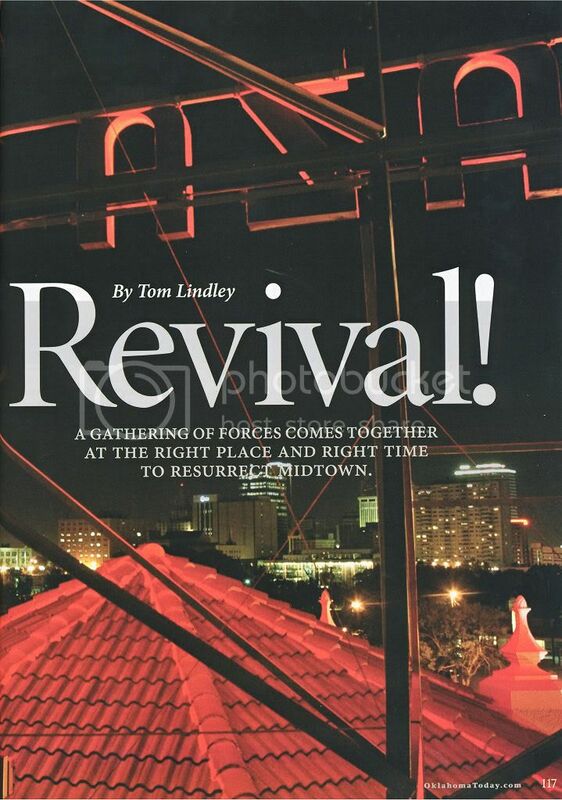 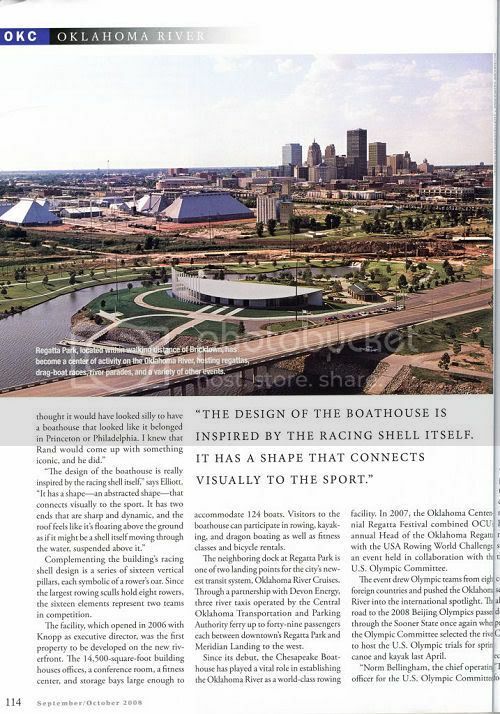 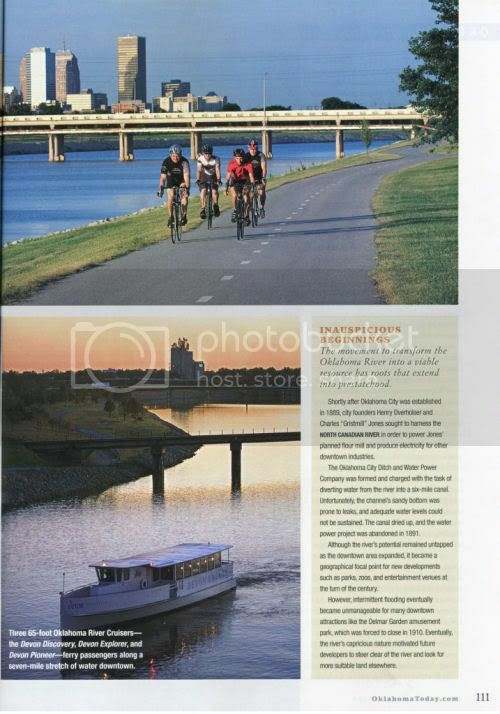 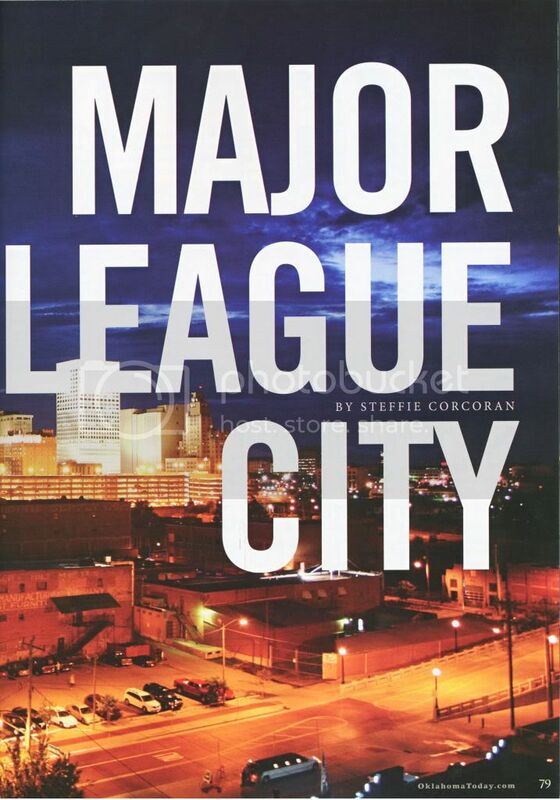 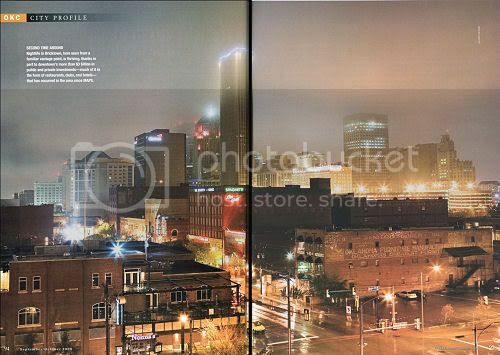 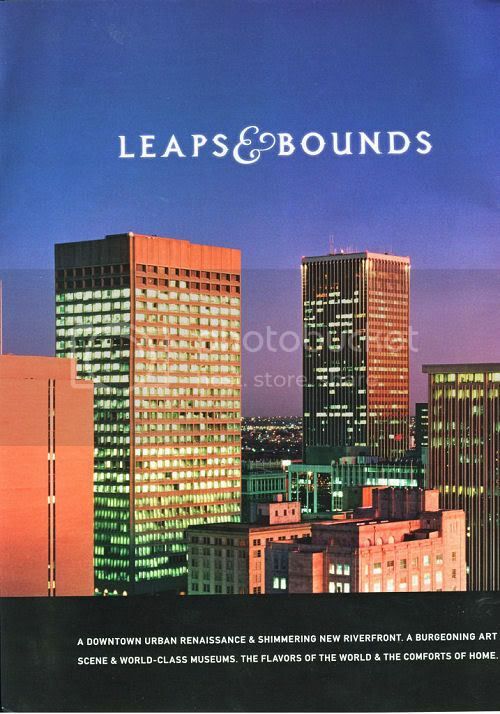 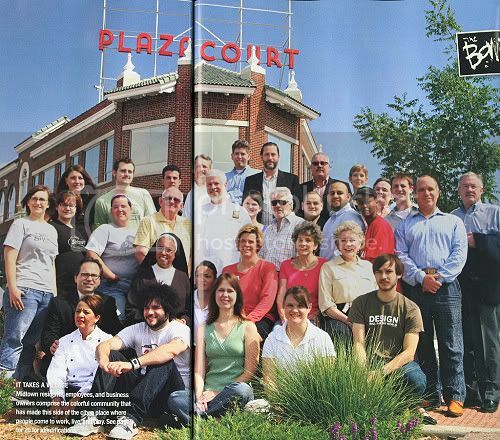 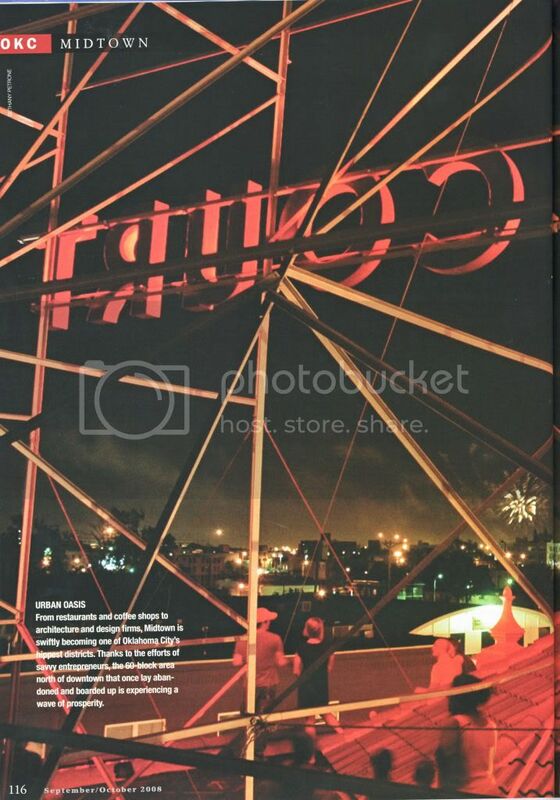 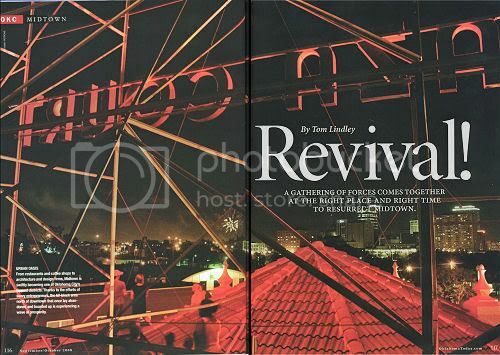 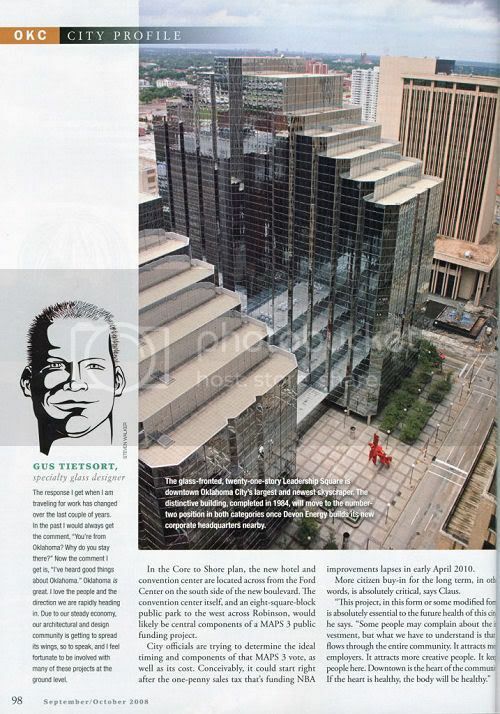 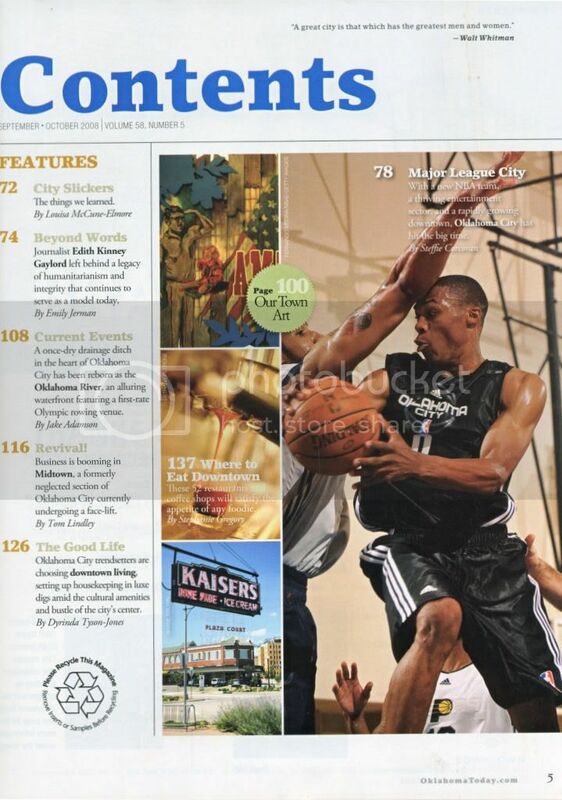 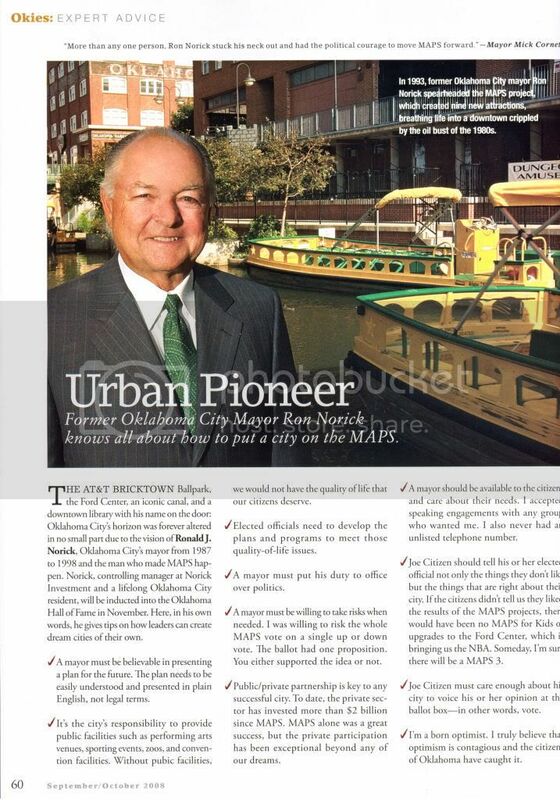 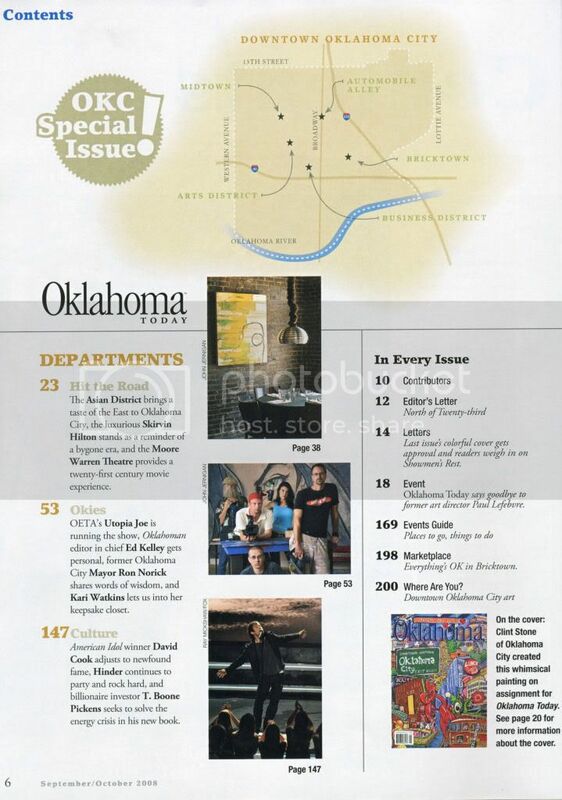 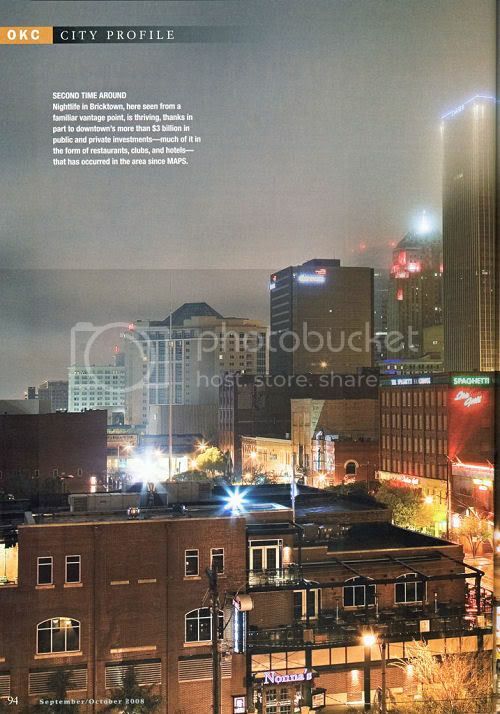 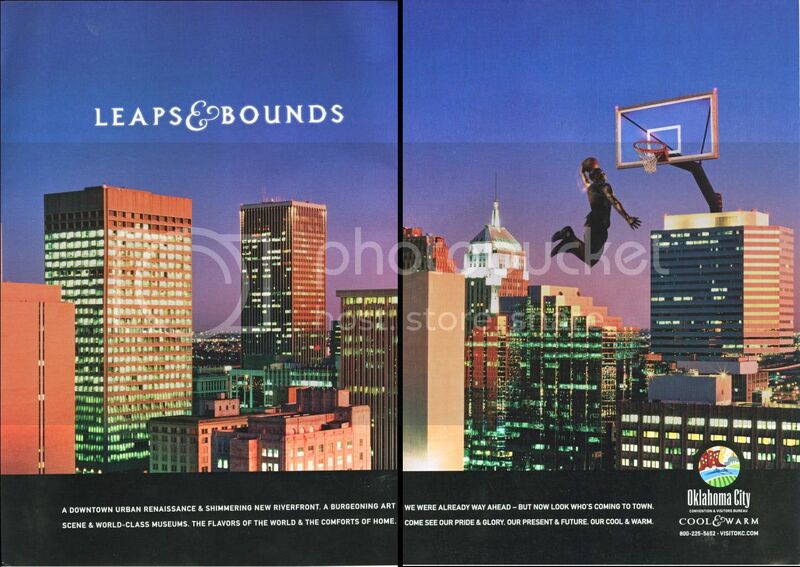 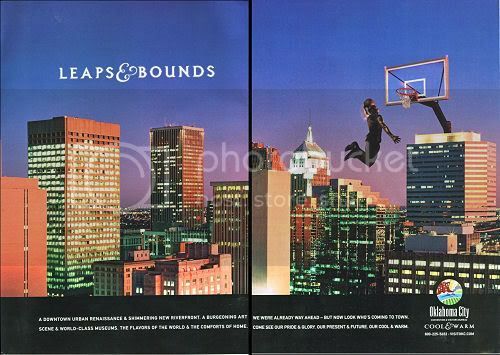 ), the September/August issue focuses solely on Oklahoma City and it's a keeper! 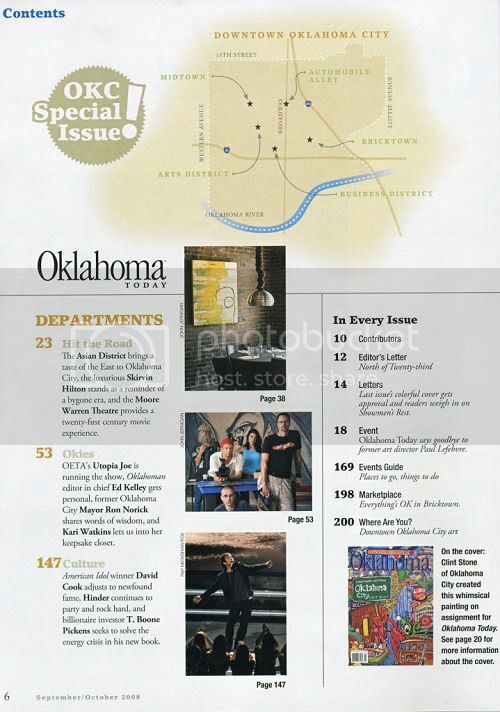 Here's what $4.95 will get you if you trot over to Taylor's News Stand & Bookstore (or elsewhere) and get your hands on a copy -- you can order a copy on-line at this Oklahoma Today webpage. 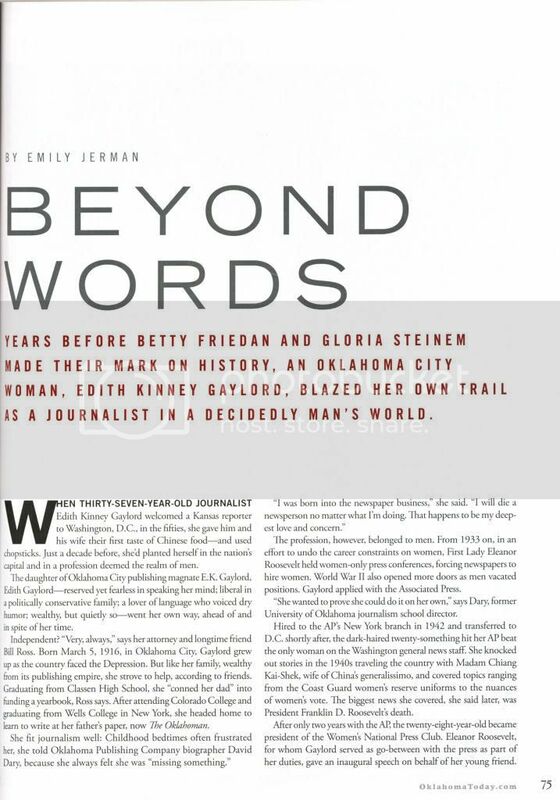 I have no more words to add in this post — the scans of some of this issue's pages will do the talking. 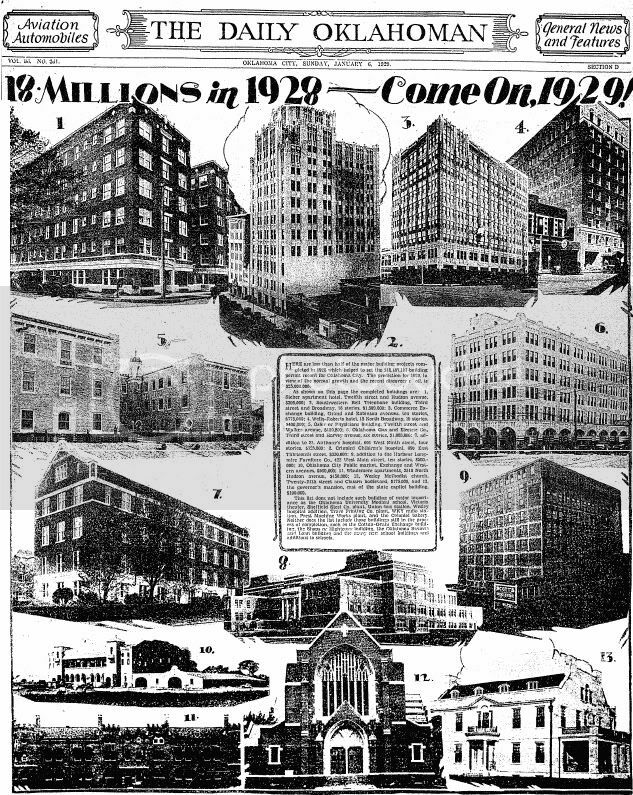 Click on any page for a larger view. 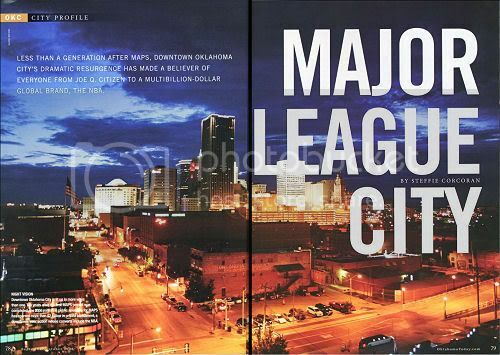 Right now, we're all wrapped up with last week's approval and next-year's construction commencement and 2012's opening of the supertall Devon Tower, which, when done, will place our city in a relatively small handful of United States cities which boast one or more skyscrapers at or above the Tower's 925', 54 story level. 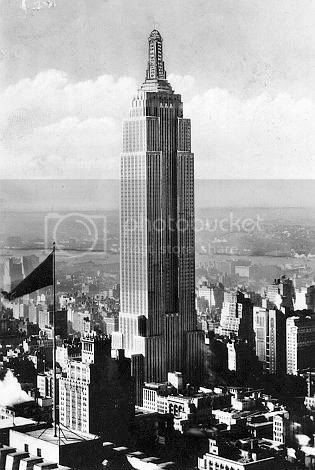 But, relatively speaking, we've been there and done that before, even if "we'd" have to have used our grand-or-great-grandparents' eyes to see that happen when it did — in 1931, seventy-seven (77) years ago. 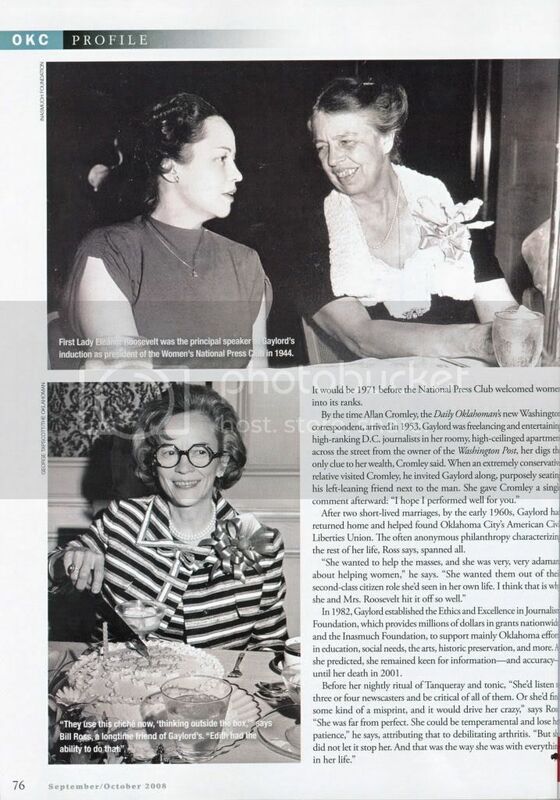 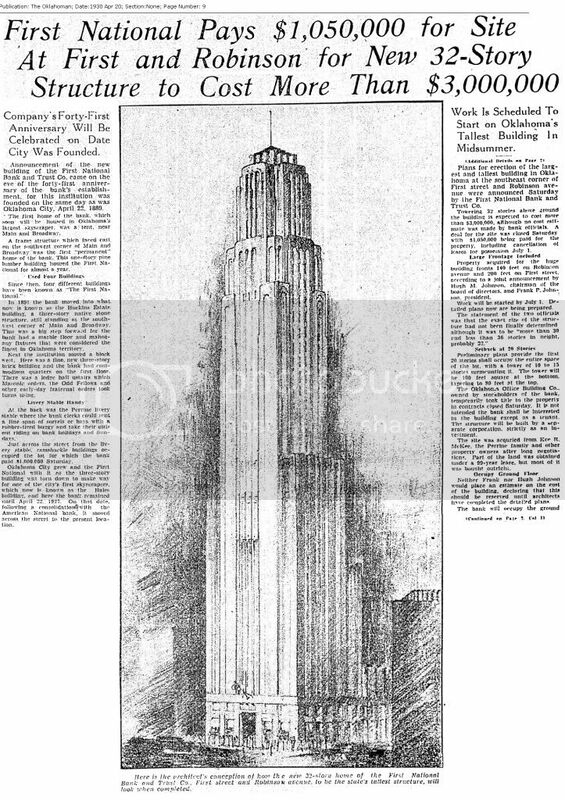 Consider this article to be a time machine which takes us back in time to when our ancestors were just as giddy as we are today, to 1931 when Oklahoma City first became a bona fide member of the national "Skyscraper City" club. 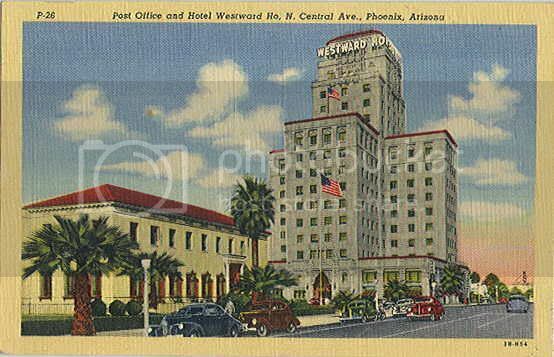 So, ladies, put on your roaring 20s flapper dresses, and gents, don your stiff-brimmed straw hats ... snap your fingers and come on back in time ... and you are there! 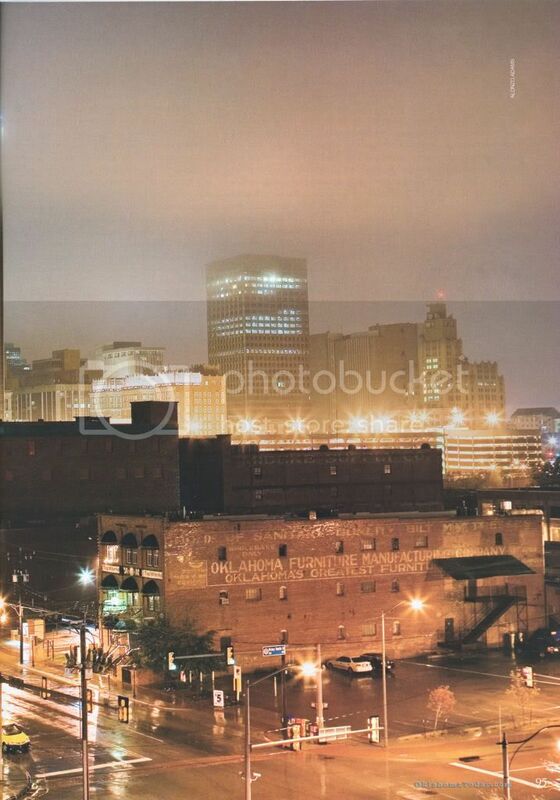 THE BACKGROUND. Oklahoma City's downtown building history has not been a constant, steady type of thing. 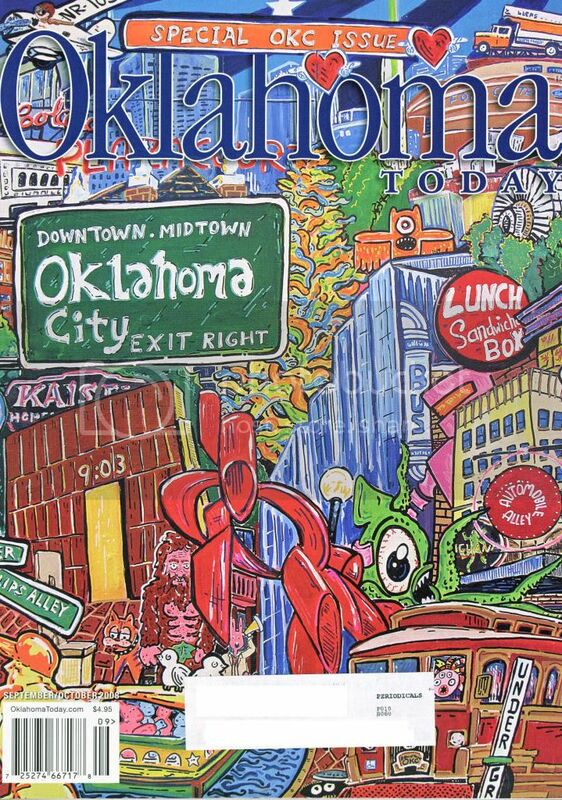 Instead, rather like our oil-based economy, it has come in a clustered series of gushers but it has likewise had significant spans of time which produced nothing but dry holes. 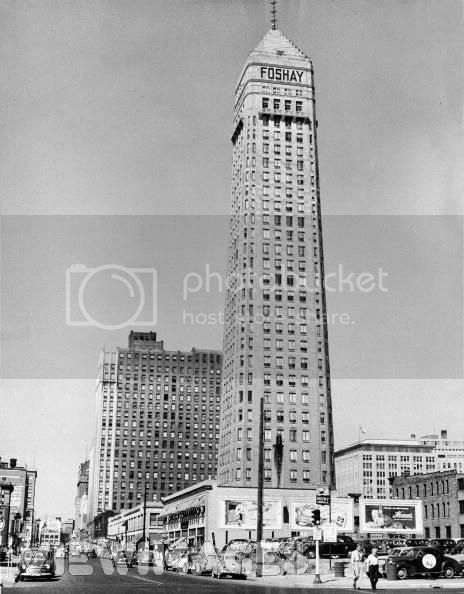 The time from 1925 or so through 1931 represents one of Oklahoma City's most "gusher-i-est" building periods our city has known. 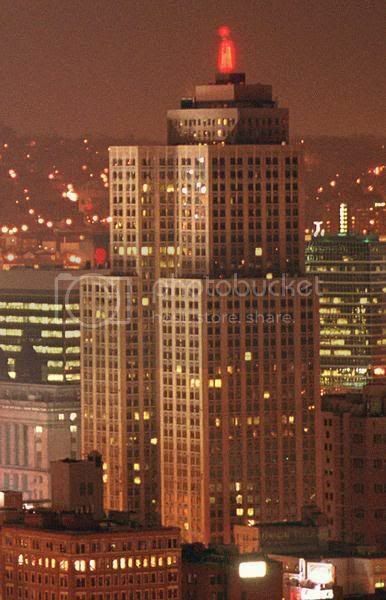 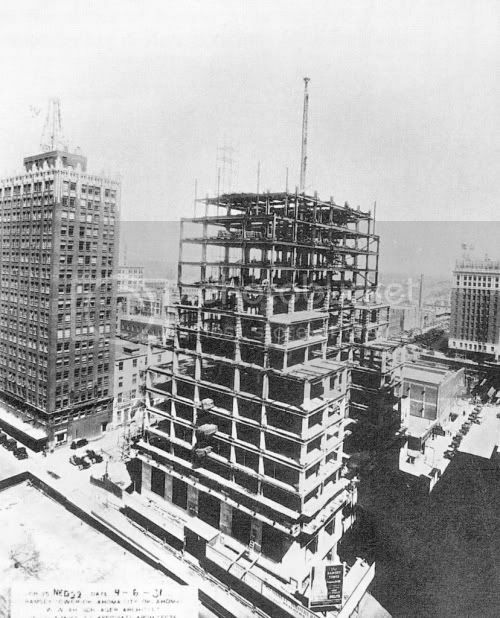 Before 1926, Oklahoma City's tallest buildings were in the 10–12 story range. 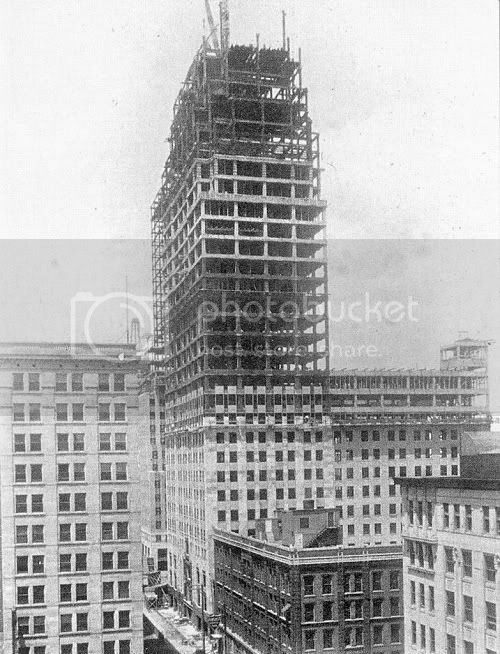 A spurt of those buildings popped up between 1910-1912: the Colcord (1910, 12 story), Herskowitz (1910, 12 story), Lee-Huckins Hotel, replacing the 1900 Lee Hotel after destroyed by fire (1910, 10 story), Skirvin Hotel (1911, 10 story), Hales (1910, 10 story), Campbell (1910, 10 story), and Kingkade Hotel (1912, 11 story). 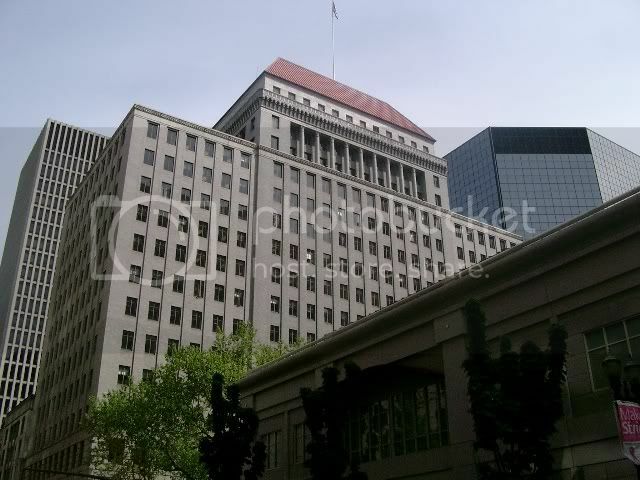 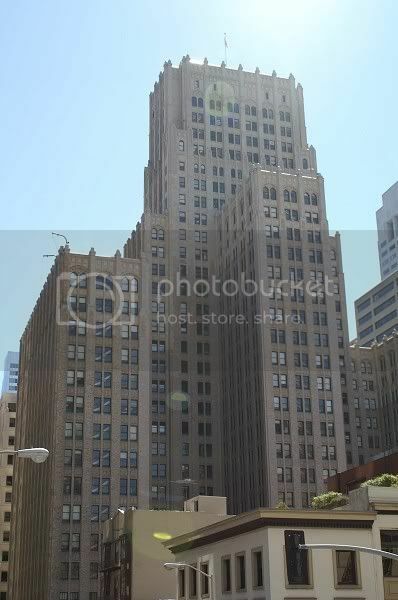 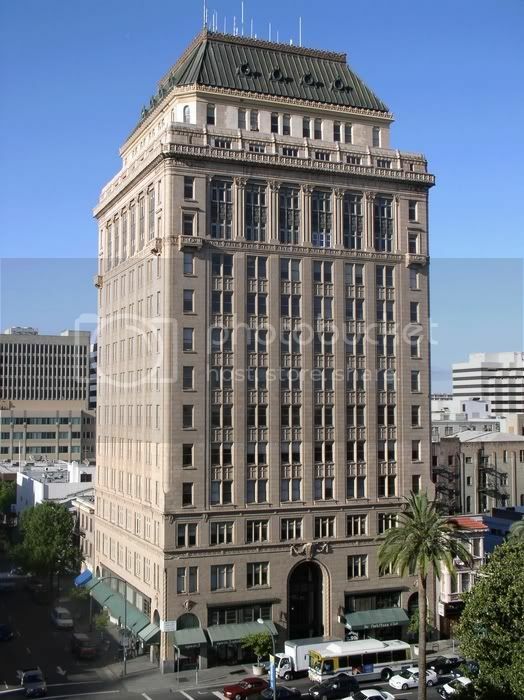 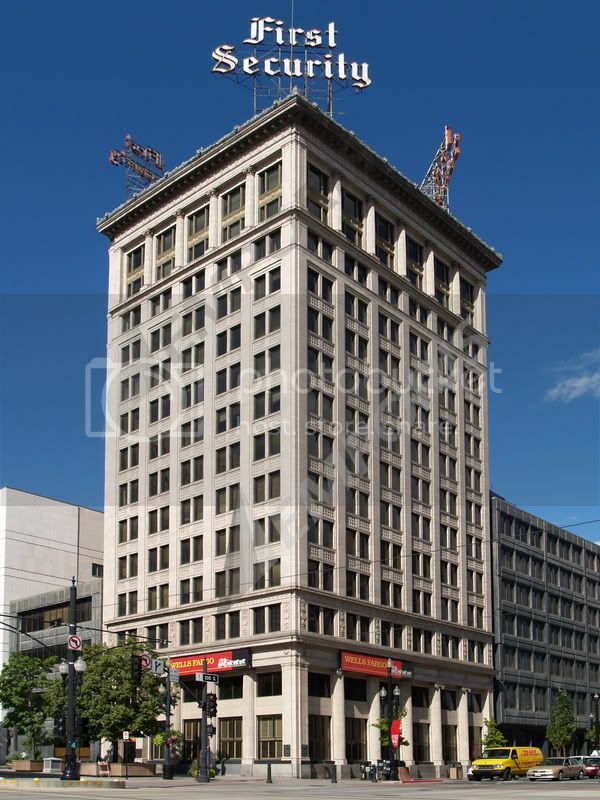 Another group with similar dimensions grew from the ground in the early 1920s: Tradesmen's Bank, City Center today (1921, 11 story), Braniff (1923, 10 story), Medical Arts, now 100 Park Avenue (1923, 12 story), and Harbour-Longmire (1923, 10 story). 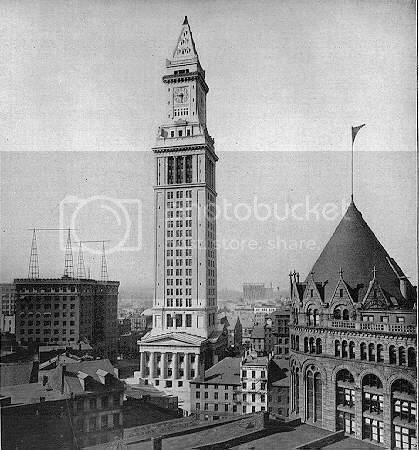 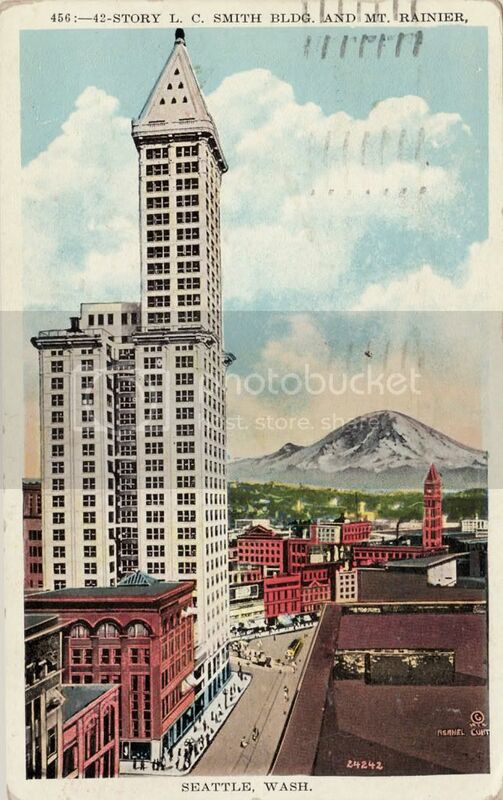 That burst continued into the mid-1920s but finally included one that jumped higher than the rest, the 18-story Petroleum Building which started construction in 1926 and was done in 1927 as shown in the postcard at the right from Vanished Splendor by Hal Ottaway & Jim Edwards. 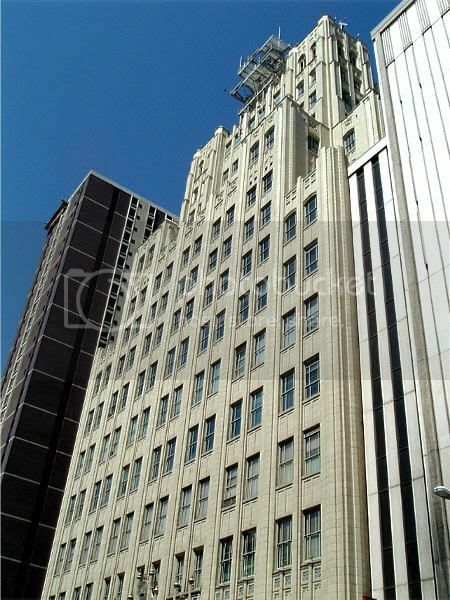 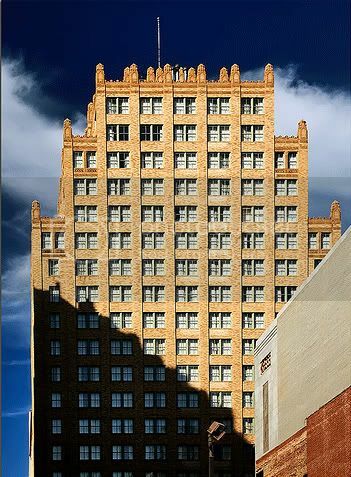 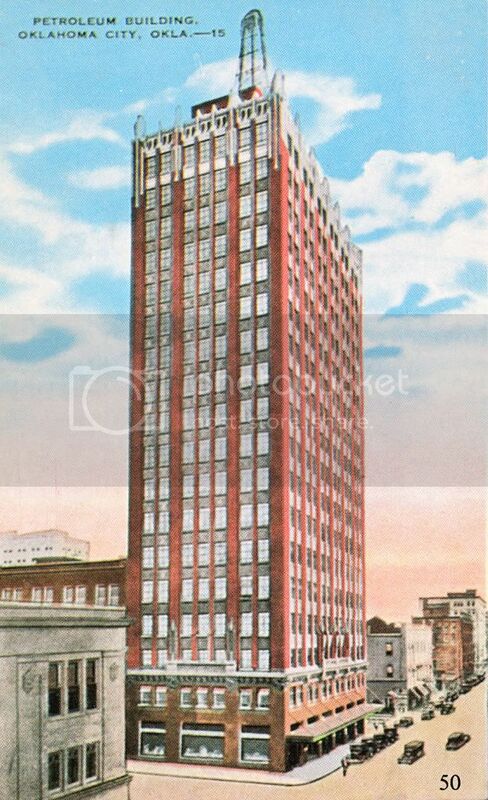 The 16 story Southwestern Bell building (1928) was close behind. 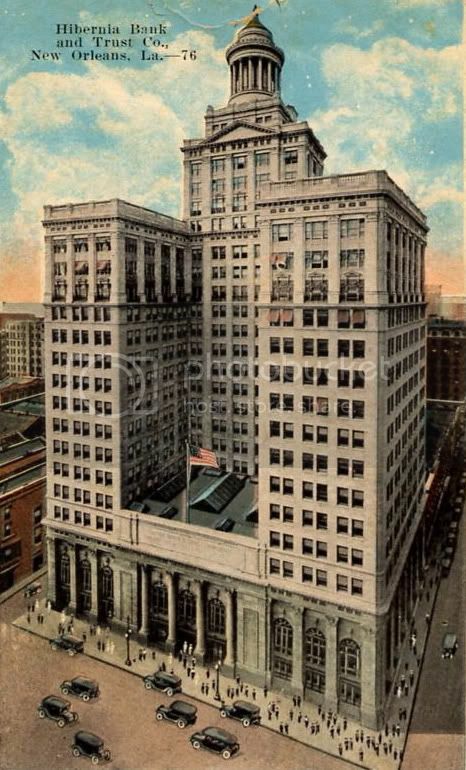 The 1923 6-story Cotton Exchange Building was expanded to 10 in that same year. 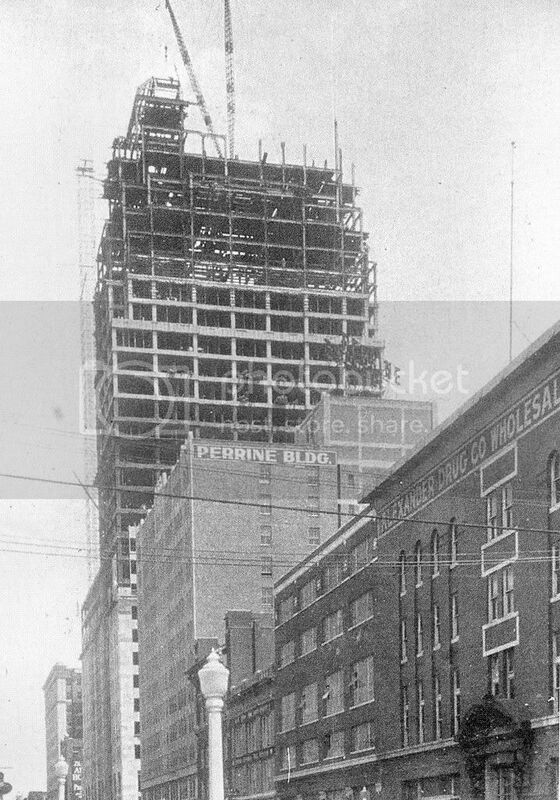 Others built in the 10-13 story range in the last five years of the 1920s were the Skirvin's expansion to 13-stories in 1928-1930, Perrine, now Robinson Renaissance (1927, 12 story), Roberts Hotel (1927, 10 story), Oklahoma Savings & Loan (1928, 10 story), Commerce Exchange (1928, 10 stories), and Hightower (1929, 10 story). 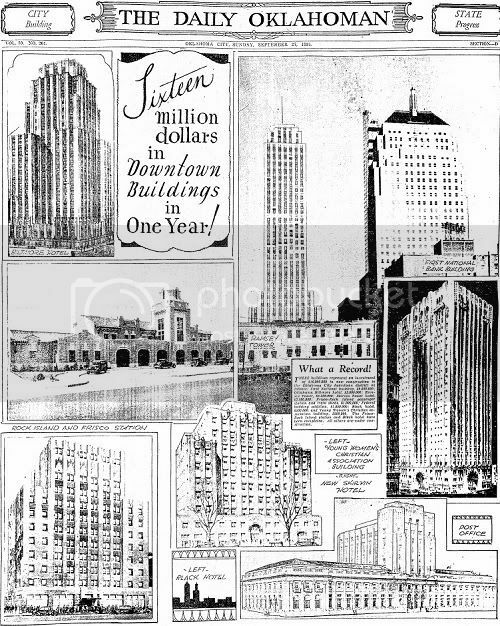 For more about these and other "tall" buildings, see my tall buildings article. 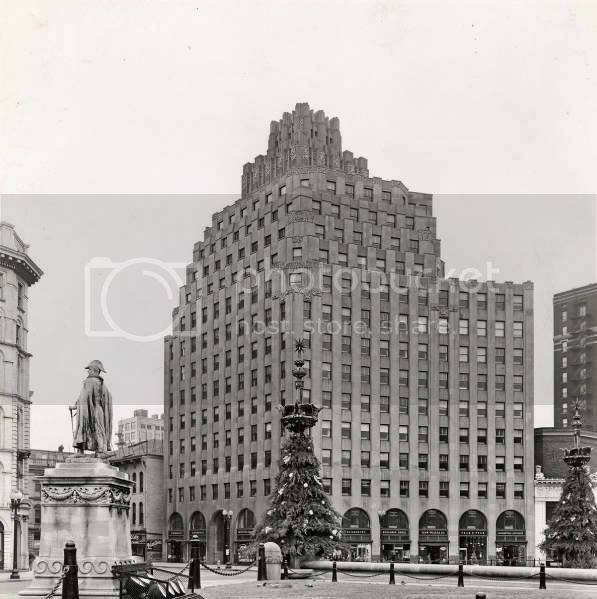 By the end of the 1930s decade, downtown looking east looked like the photo below from Terry L. Griffith's Images of America: Statehood to 1930. 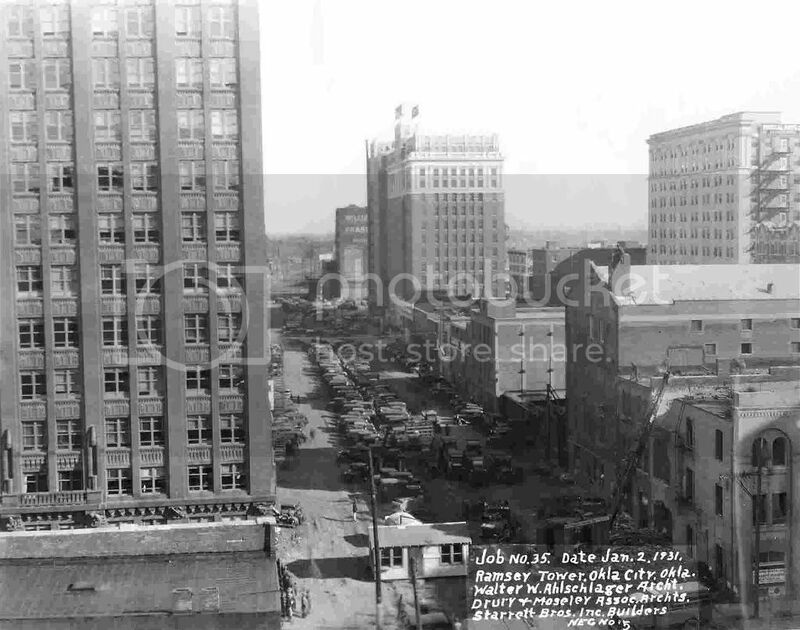 At left, 1928's Southwestern Bell building is seen, 1927's Petroleum Building is left of center, and the east/west railroad tracks which would not be removed until after November 30, 1930, are still present. 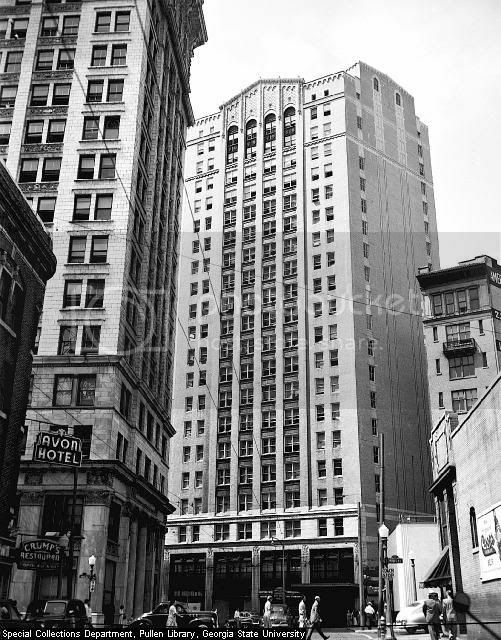 The 1929 Wards building is at the right. 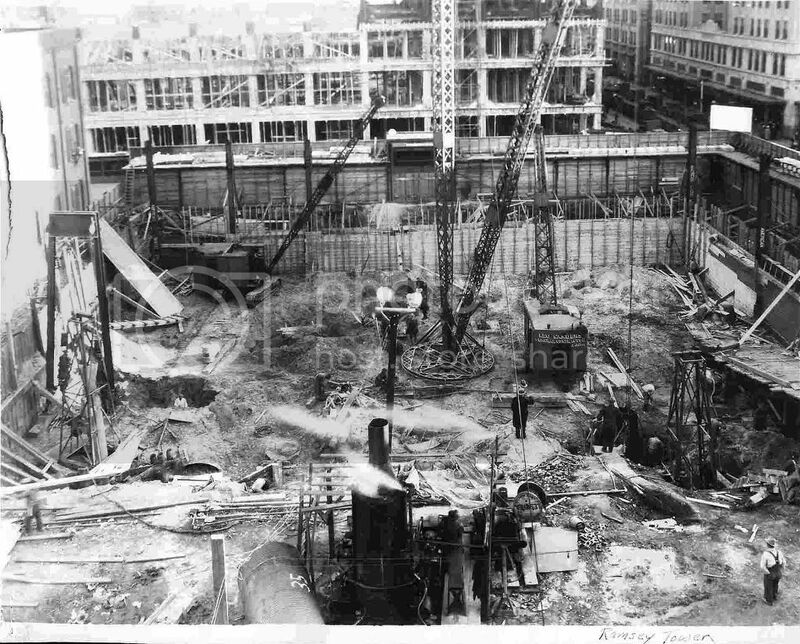 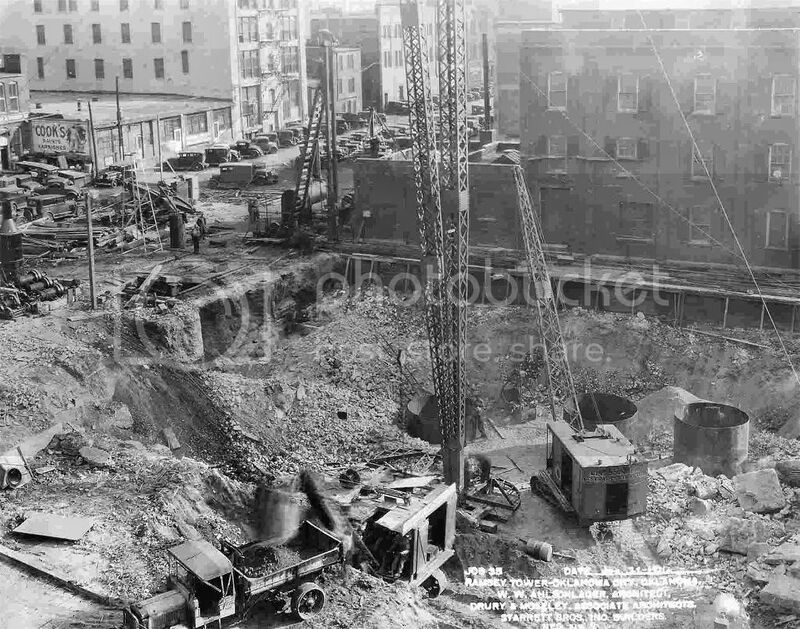 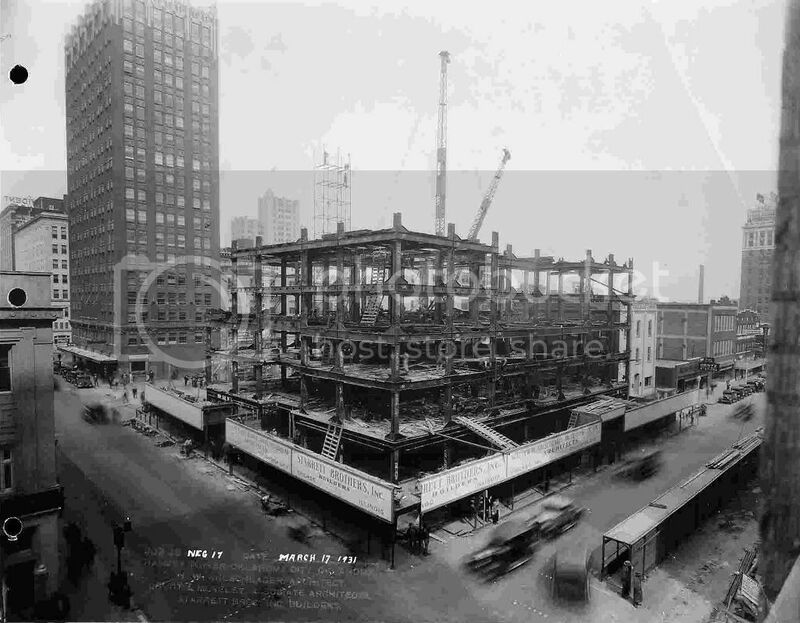 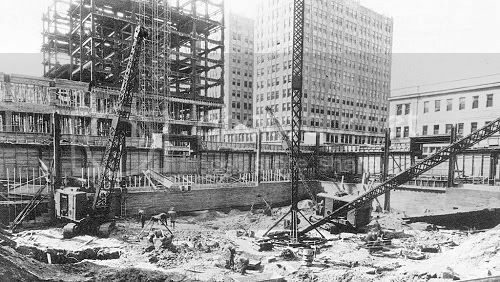 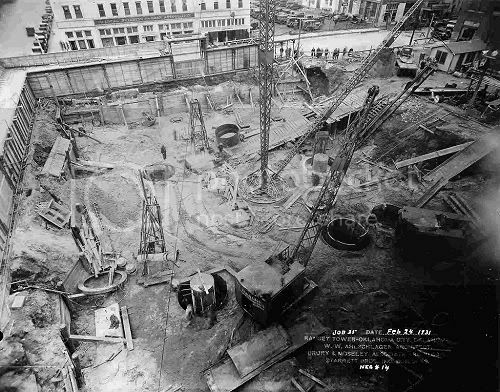 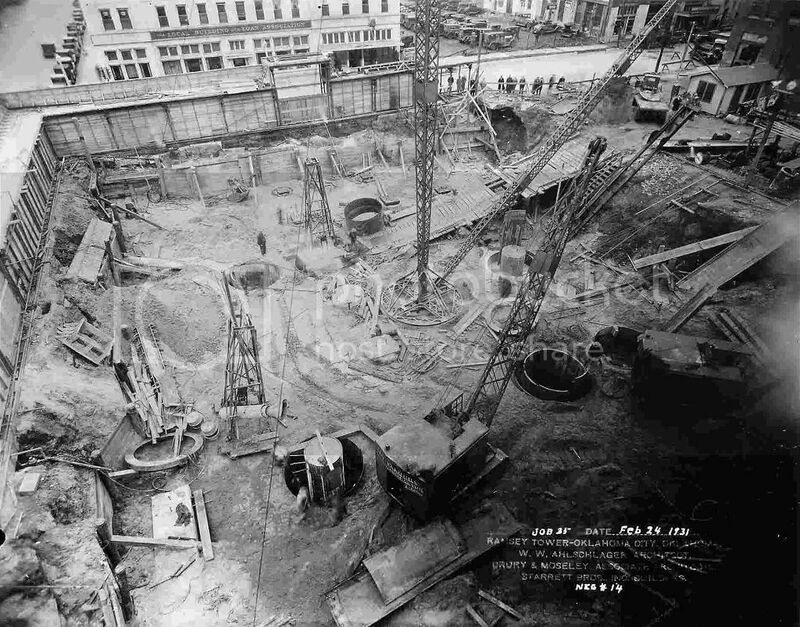 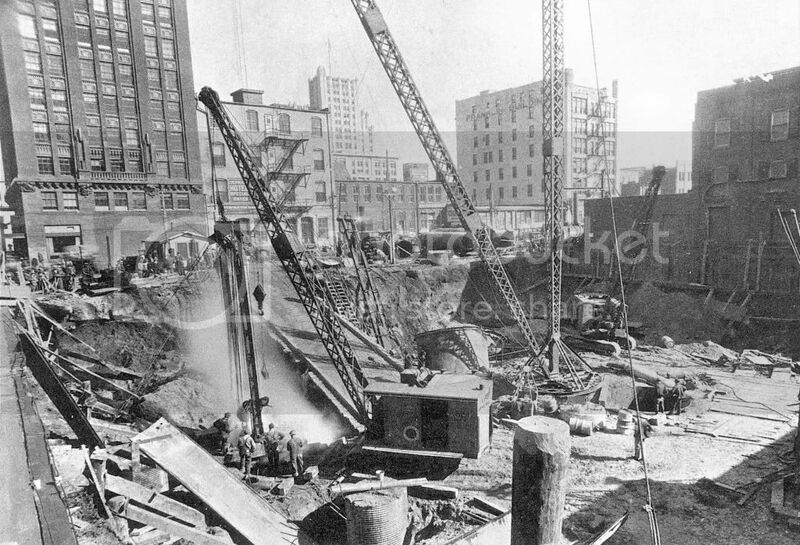 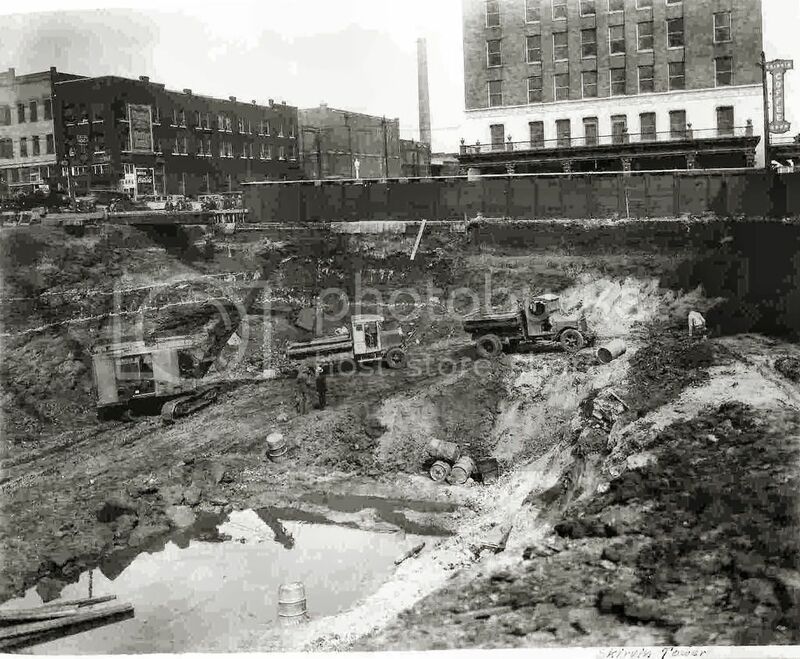 At the far left, the tower of the 1932 Post Office & Federal Court building is under construction and, at right. 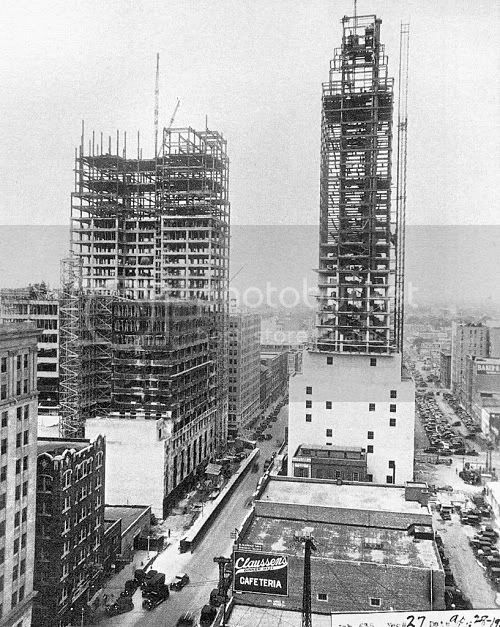 the structure of the Biltmore which opened in 1933 is progressing. 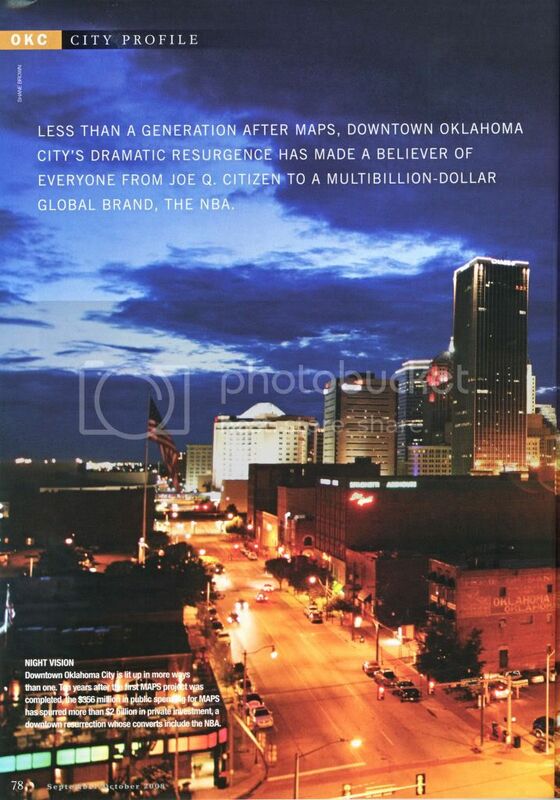 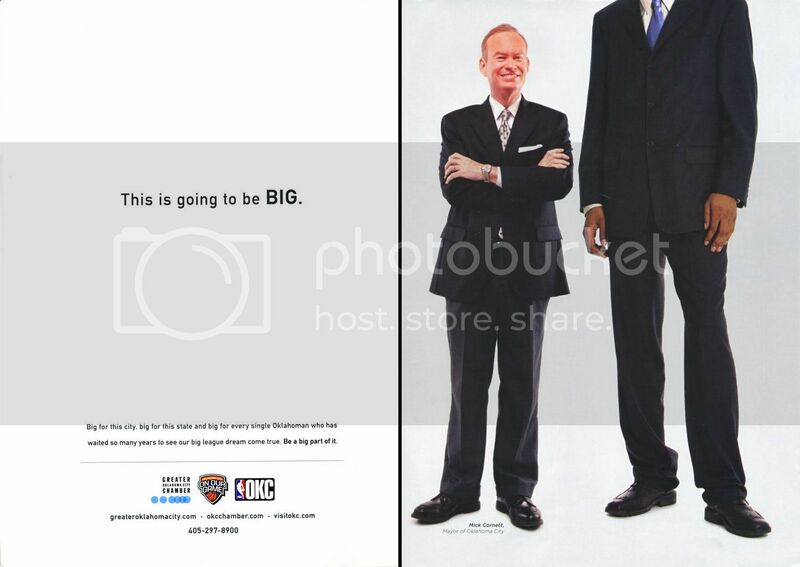 But, in the middle, Oklahoma City has its new skyline. 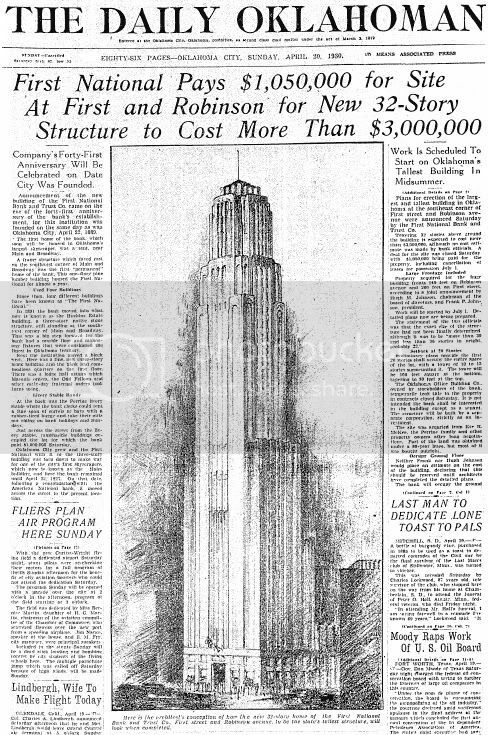 Ramsey Tower headlines came a bit later, on August 31, 1930. 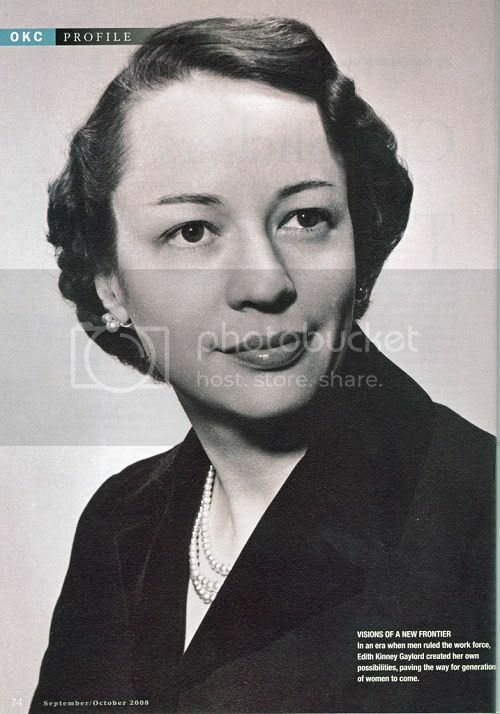 What happened thereafter is called by all Oklahoma City historians as, "The Great Race." 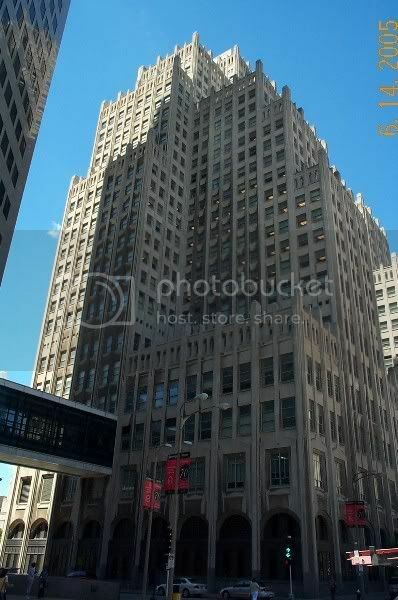 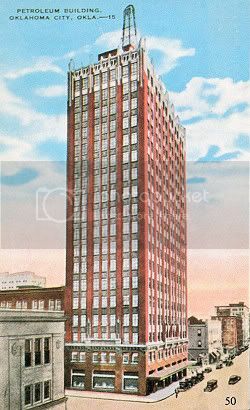 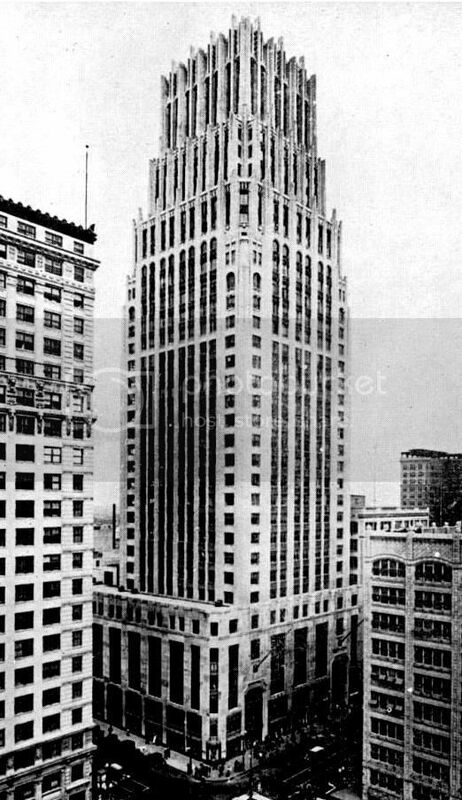 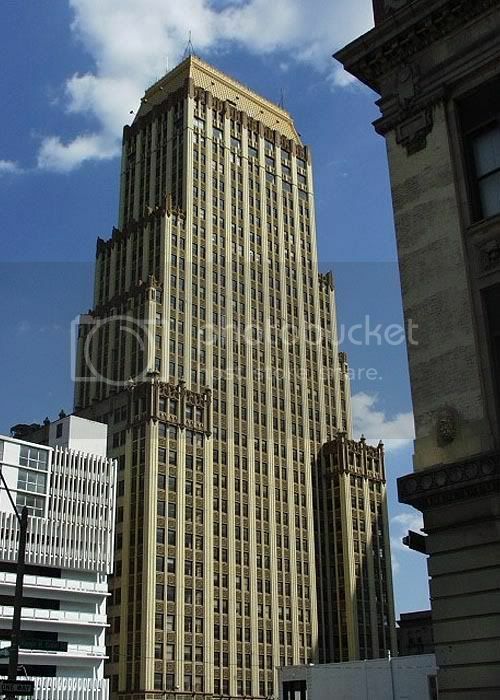 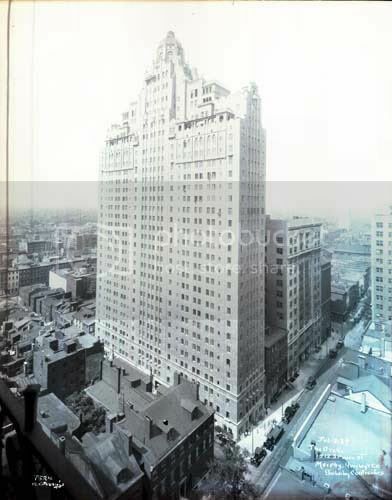 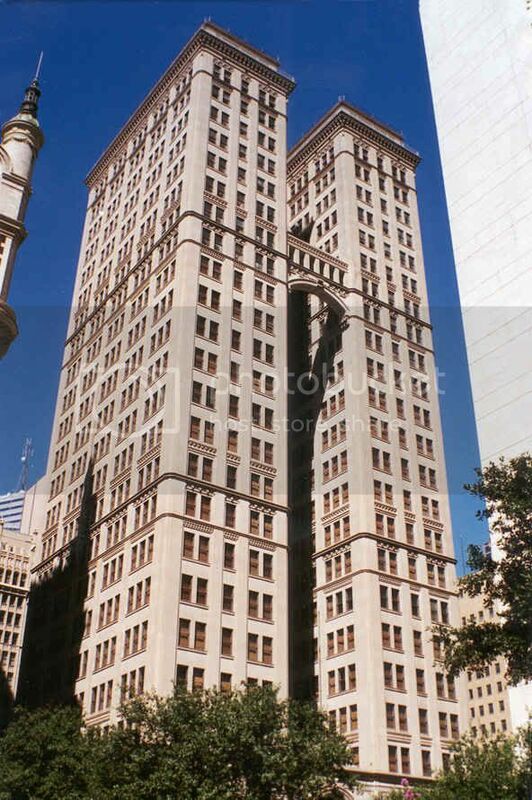 Ramsey Tower won the race, but both then supertall skyscrapers opened their doors in late 1931 at 33 stories apiece. 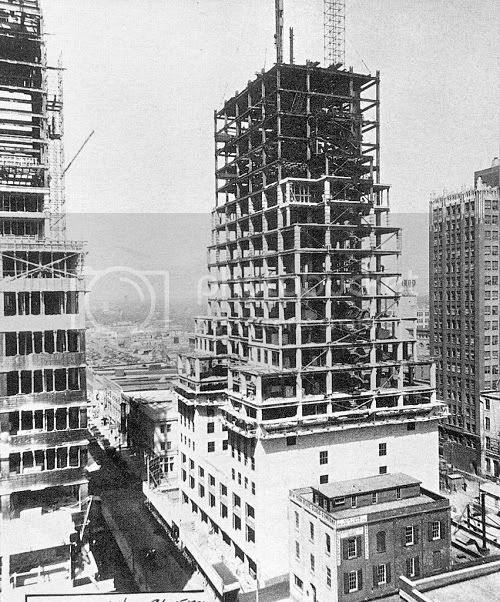 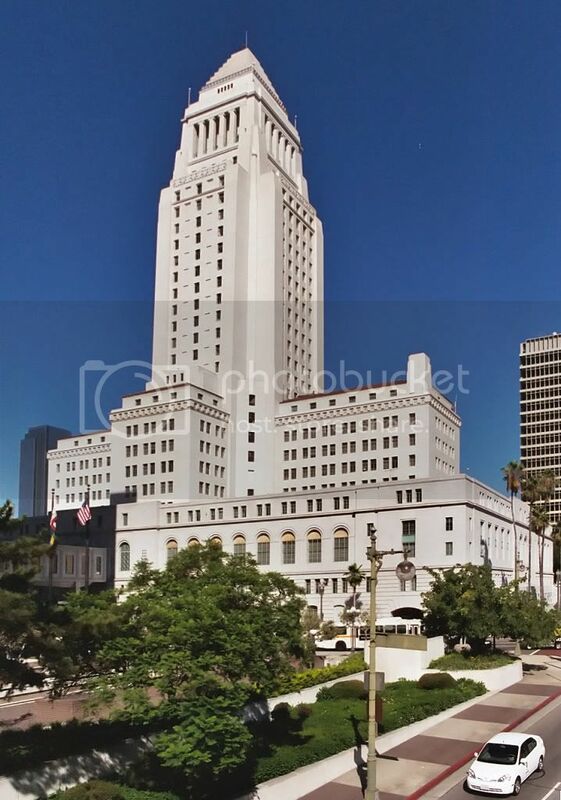 15 Los Angeles 0 28 LA City Hall 1927 Govt. 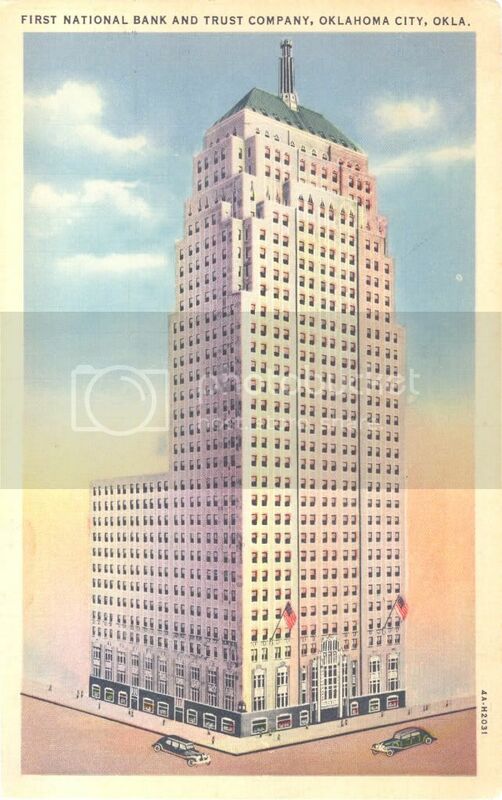 17 Miami 0 28 Miami-Dade County Courthouse 1928 Govt. Second, In Order of Story Rank. 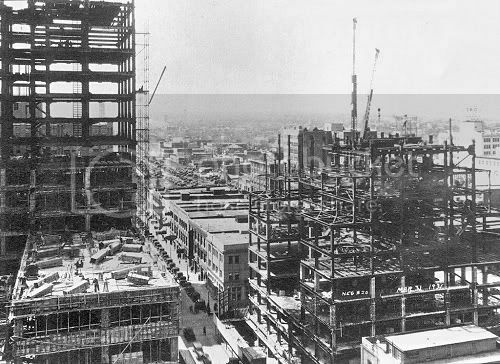 Sorting the above information by cities having buildings at least 33 stories (not height), Oklahoma City fared pretty well in 1931, a tie with Philadelphia for 12th in the list — heady stuff for the young pup of a city that Oklahoma City was only 42 years of age. 20 Los Angeles 0 28 LA City Hall 1927 Govt. 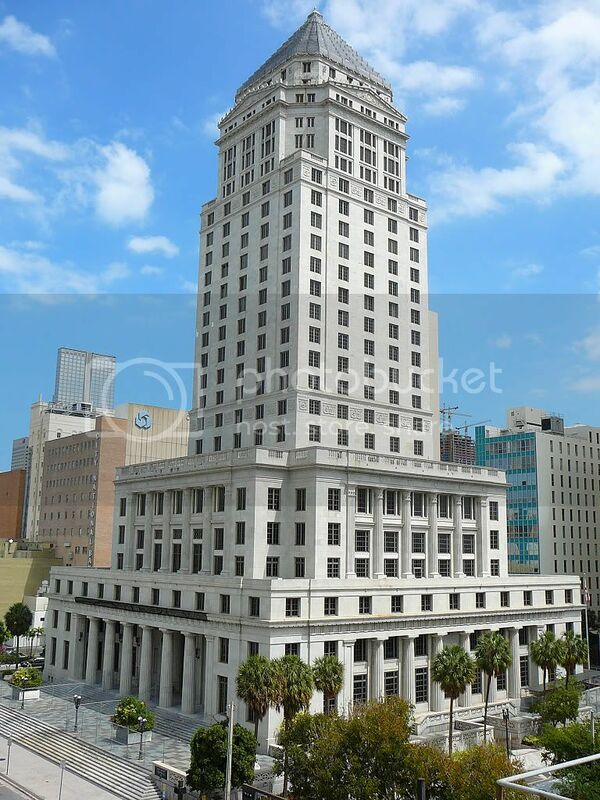 21 Miami 0 28 Miami-Dade County Courthouse 1928 Govt. 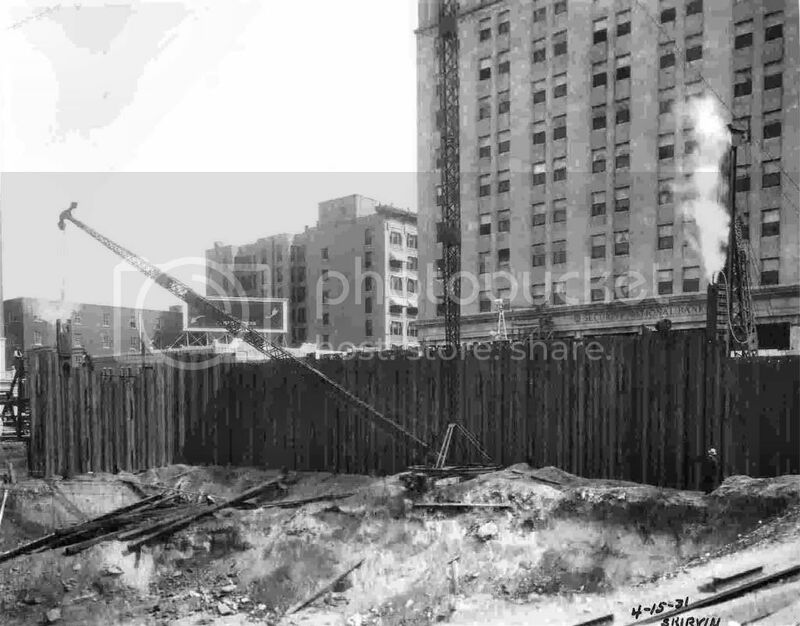 THE BOOM ENDS. Well into 1931, optimistic articles and headlines spoke of how Oklahoma City was avoiding serious impact of the Great Depression which followed Wall Street's month long October 1929 crash. 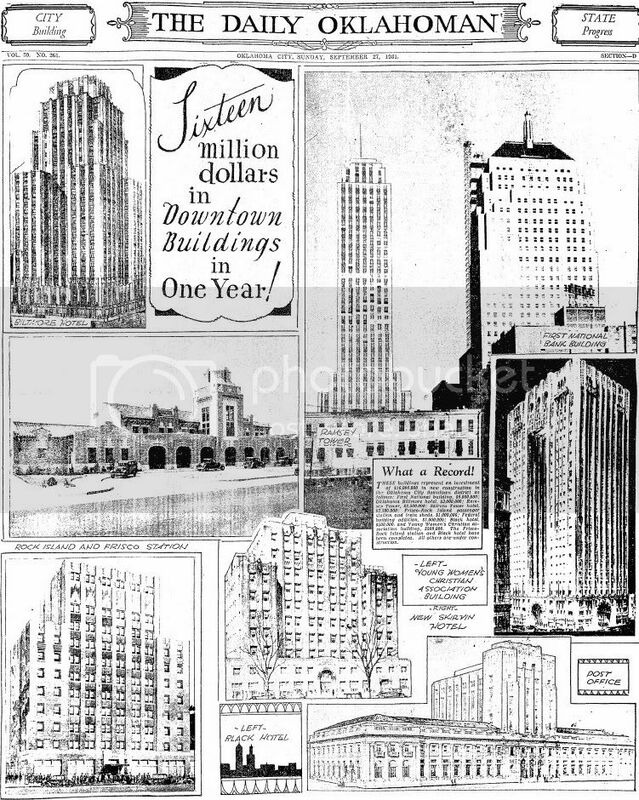 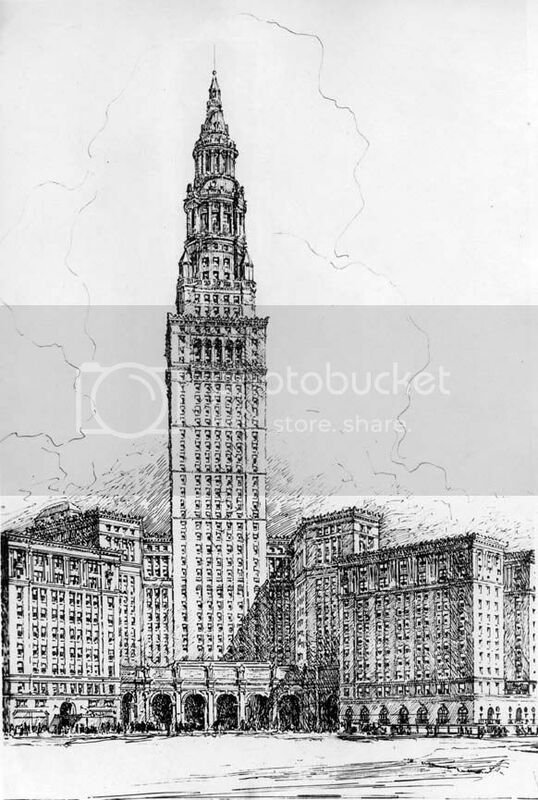 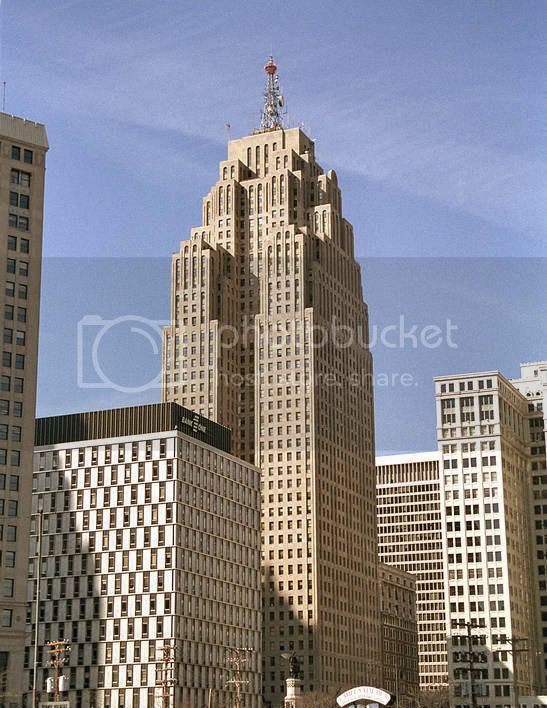 The buildings shown in the above optimistic article are, clockwise from the upper left corner, the Biltmore Hotel, Ramsey Tower, 1st National, Skirvin Tower, Post Office & Federal Court expansion, YWCA, Black Hotel, and Union Station. 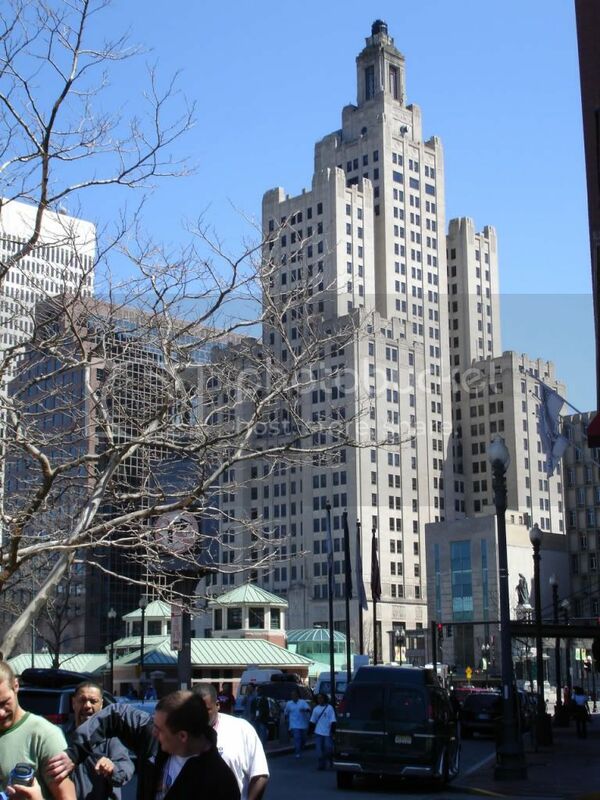 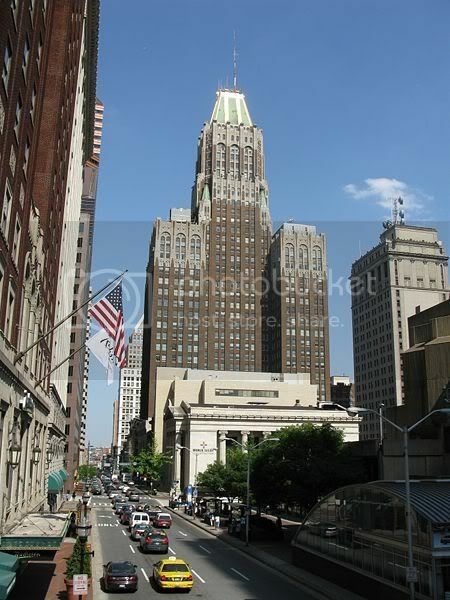 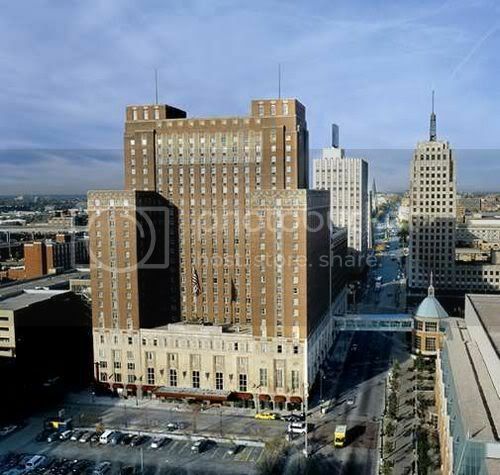 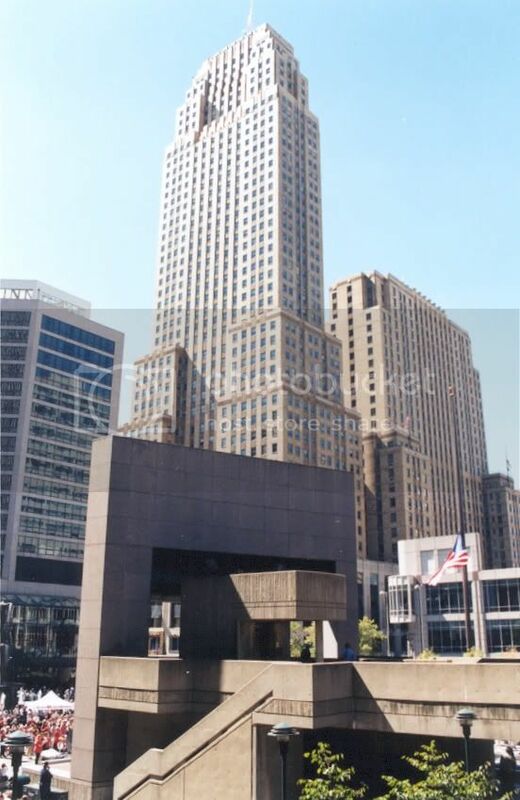 Notice the planned design of the Skirvin Tower at the right which Bill Skirvin intended to be a 26 story building. But, when the economy turning sour, Bill Skirvin delayed construction and eventually scaled back the plan. 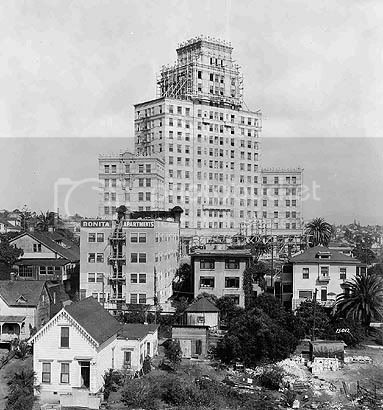 The final 14 story structure was fully opened in 1937. 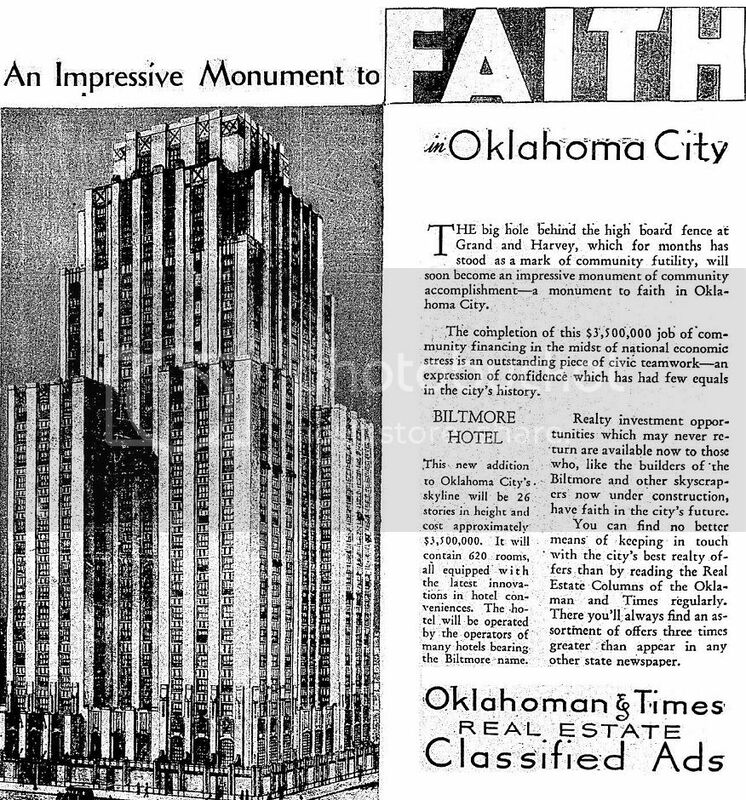 Although some doubt existed that the 26-story Biltmore Hotel would get done, the Oklahoman expressed "Faith" that it would . . .
. . . and of course it did and opened its doors in 1932. 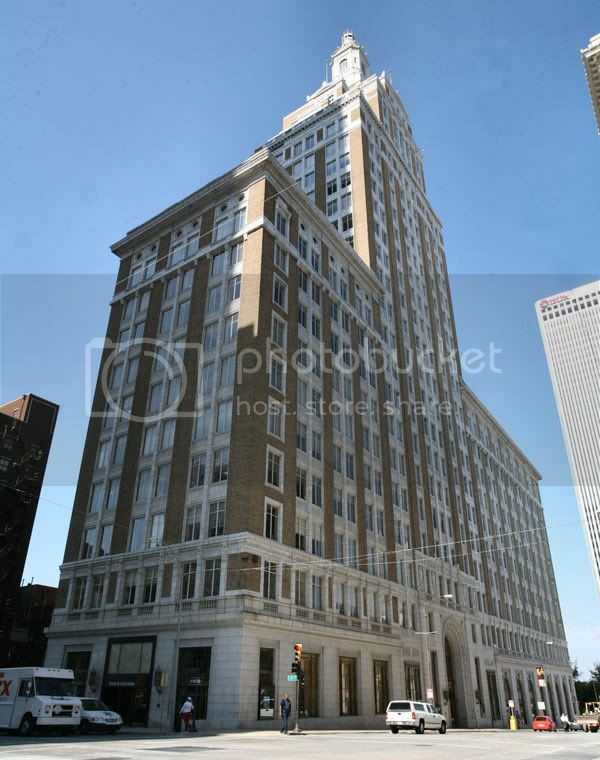 As for the others appearing in the above Oklahoman article, they got done, too, plus another, the 1930 10-story Midwest Building which was the home of the Midwest Theater. 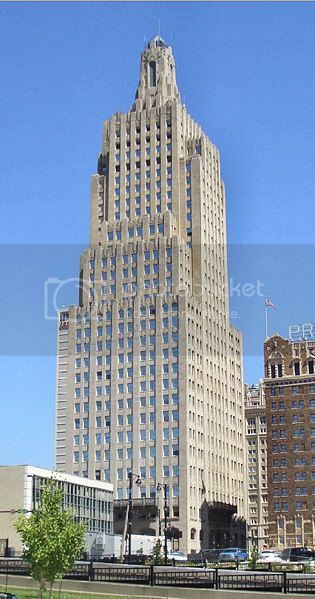 But, aside from the WPA funded/assisted Civic Center project, including 1937's 11-story Oklahoma County Courthouse, the "pause" button was pushed firmly down on any new significant downtown Oklahoma City buildings for more than 20 years until the next "mini-spurt" would occur in the mid-1950s — Fidelity Bank, now Park Harvey (1956, 17 stories) and a handful of other 10 to 15 story buildings (Southwestern Bell, now DEQ, 1957 at 10 stories; 1st National addition, 1957, at 14 stories; Globe Life, 1957 at 15 stories) would be constructed during that time — all good to have, but really nothing to get spastic about in your letters to your relatives in Chicago or Los Angeles or any other big city. 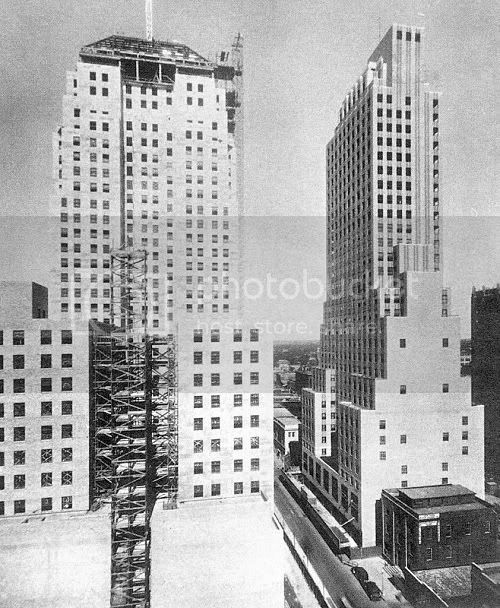 By the time the 1950s rolled around, Oklahoma City had drifted far back in the skyscraper pack, as far as really tall buildings were concerned. 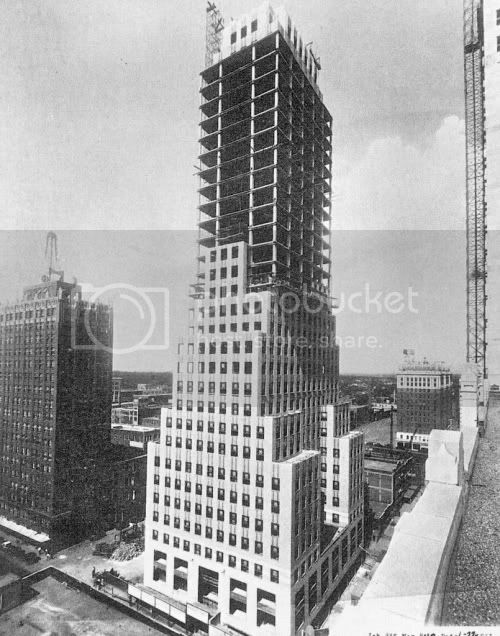 Only in 1971, 40 years after the "Great Race," would a taller-than-33 story building be built in Oklahoma City, Liberty Tower at 36 stories. But, all that said, in 1931, Oklahoma City was riding high, at least as high, if not more (relatively speaking), than we are today. 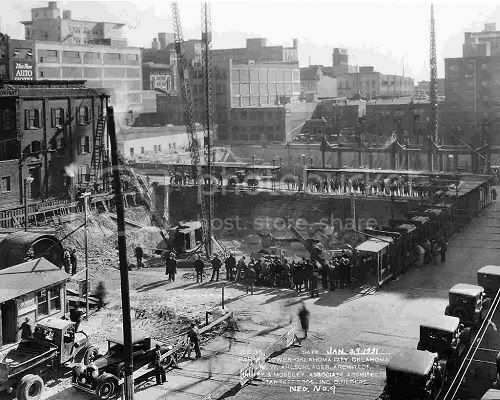 So, get your shovels and hard hats ready and, next year, start gawking at that thing which will come out of the ground, just like your grandfathers and grandmothers did 77 years ago! With them, you will share their joy and awe and be one with them. 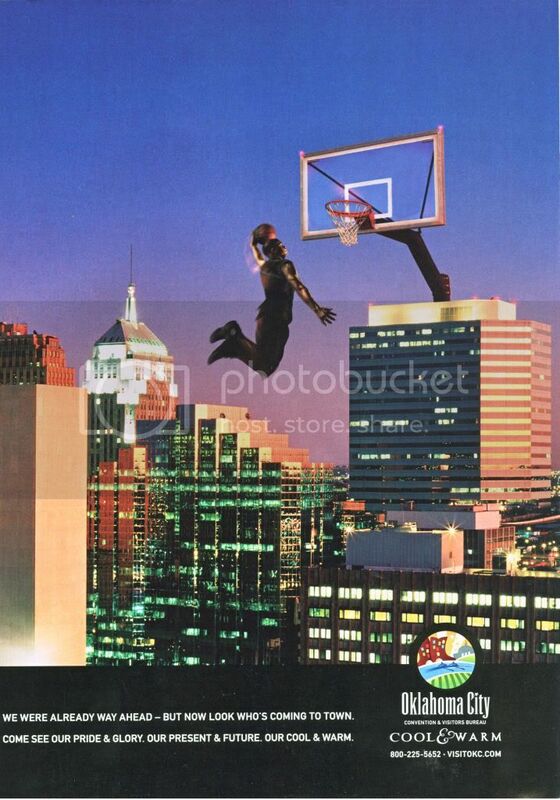 It's about Damn Doug Dawg time!